Garden windows are some of the most unique additions you can add to your home in Milwaukee. You’ll be hard-pressed to find another window style that creates the effect and feel like garden windows do. What’s a Garden Window and How Do They Work? Garden windows are a box of windows that protrude from your home’s exterior – similar to bay and bow windows. Garden windows are comprised of windows on all sides except the bottom. The sides can be made with mini casement windows that operate just like our regular casement windows. One of the biggest benefits of garden windows is that they create a space for you to grow plants on indoors – hence the name garden window. The bottom seat is insulated and makes the perfect area for plants or other decorations. With windows on all sides, they allow the maximum amount of natural light into your home. If you’re growing plants, this is key for their health. Since garden windows are made up of many windows, it’s important that they’re put together well in order to still be energy efficient. You can trust Feldco for the highest quality garden windows in Milwaukee. The entire frame is foam insulated and reinforced and every section of glass features argon gas between the panes. These features combine to give you a super energy efficient window and a perfect place to show off your creativity and personality. There’s only one place where you’ll get all the great benefits of garden windows without any negatives. 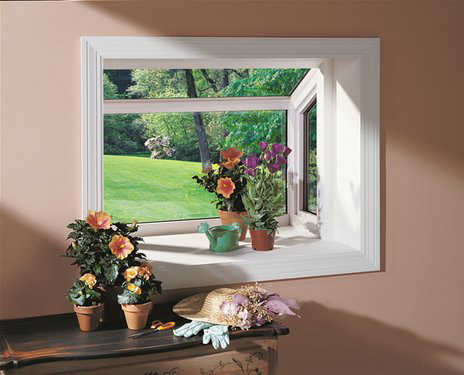 Feldco’s garden windows are made to never warp or rot and will never need to be painted or stained along the way. You can add a bit of flair and practicality to your Milwaukee home with garden windows. They’re often found in kitchens, above sinks and can also be used in bedrooms and living rooms depending on the layout of your home.